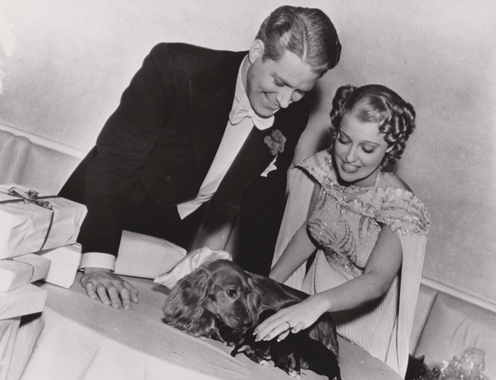 Nelson Eddy and Jeanette MacDonald were proud Americans and each worked tirelessly and bravely in their own way to help support the country they loved. 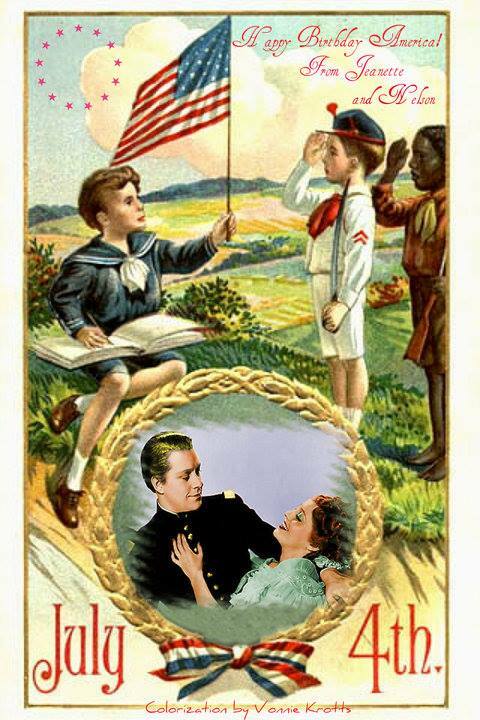 Listen to Nelson singing America and Jeanette singing The Star Spangled Banner. Enjoy your day! The artwork above was done by Vonnie Krotts…we remember her fondly today during this day of celebration. 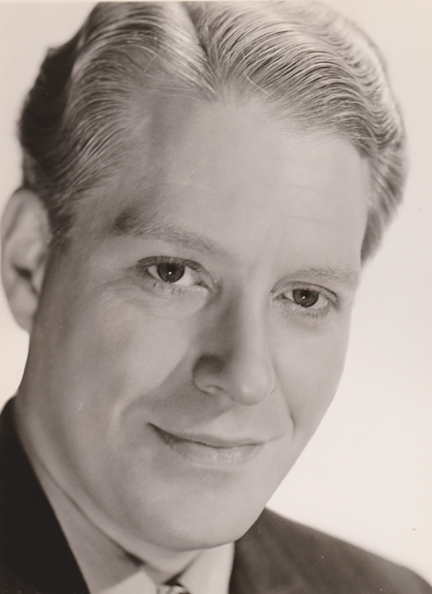 Celebrating the 117th birthday of Nelson Eddy, the most famous baritone of the 20th century. 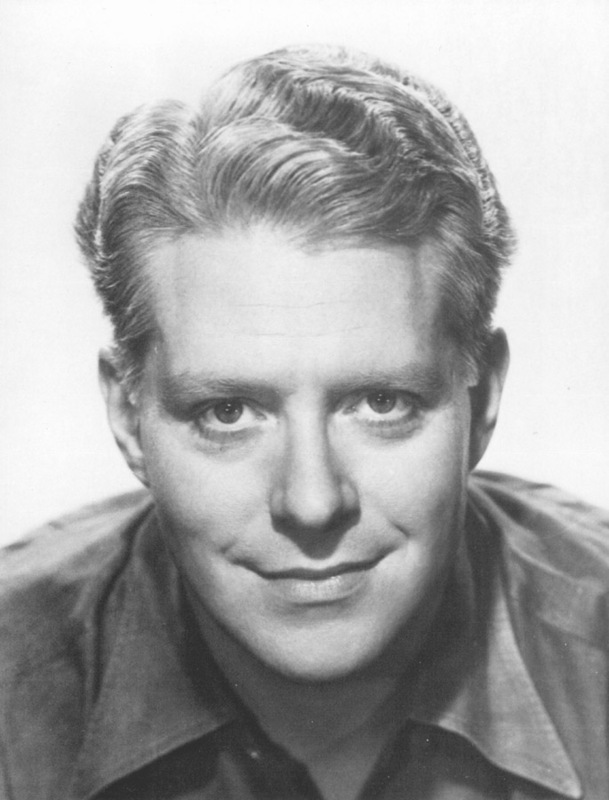 He was the first “crossover” opera singer to become a major movie star and virtual rock star of his day. 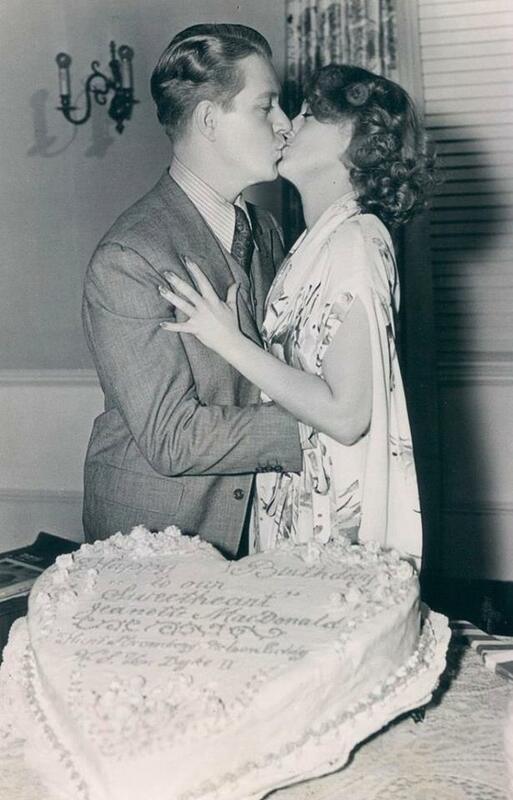 Above, Nelson’s 37th birthday on the set of “Sweethearts” (1938) with his pregnant co-star/girlfriend/future secret wife Jeanette MacDonald. Posing here with a dog and her new puppies was no random coincidence as they were expectant parents at this point in time. In 1933 when he first went to Hollywood, Nelson at first planned to make a couple of films and then return to the opera and concert life. 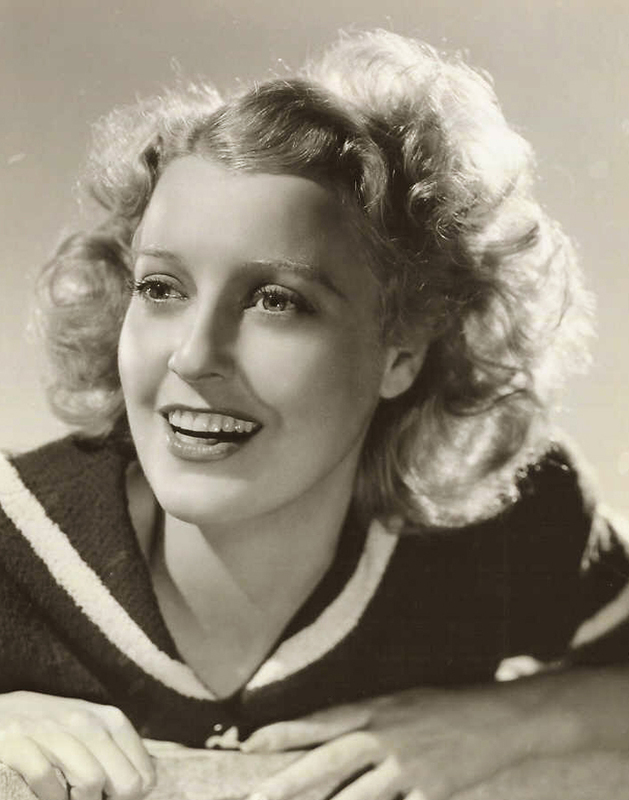 Then his world changed completely when he met Jeanette MacDonald and their lives spun off into a totally different direction. Later he would write a song based on his love for her, shocking fans by singing such passionate lyrics on his radio show: My Wonder One. 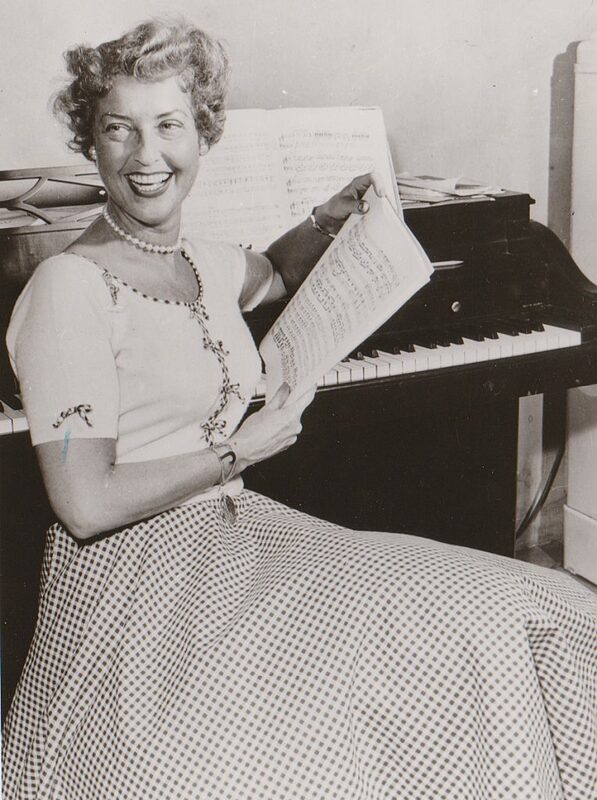 Pictured below in 1955… we will remember.